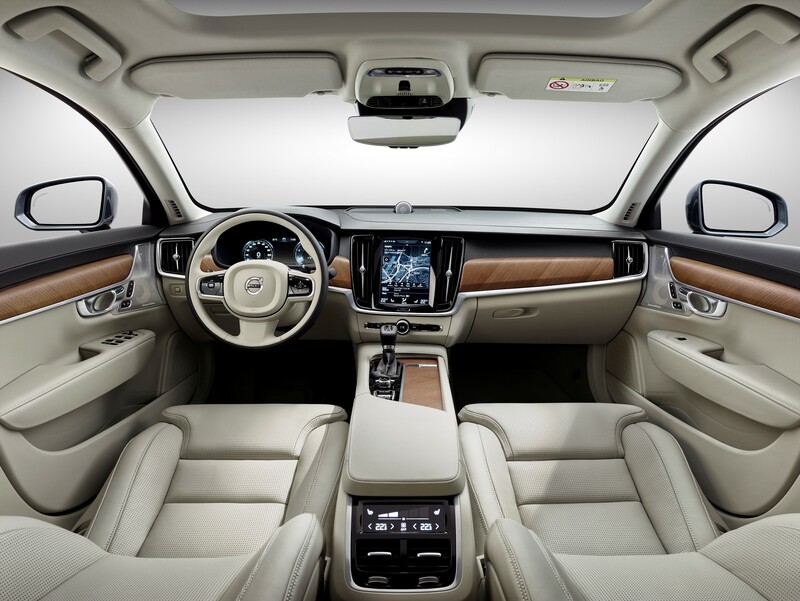 Volvo’s recently released XC90 SUV has put Volvo back in the conversation with the German heavy-hitters, like BMW and Mercedes-Benz, as it’s a spectacular SUV. 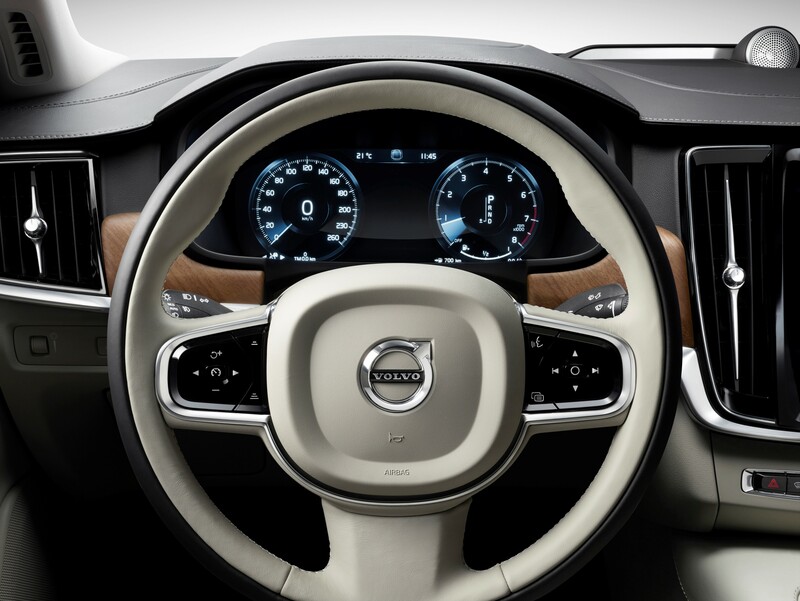 With the XC90, Volvo has radically changed its gameplan, in terms of both powertrain and technology, and is starting to get some real momentum in the luxury car world. However, the Swedish brand has some aging models in desperate need of replacement. 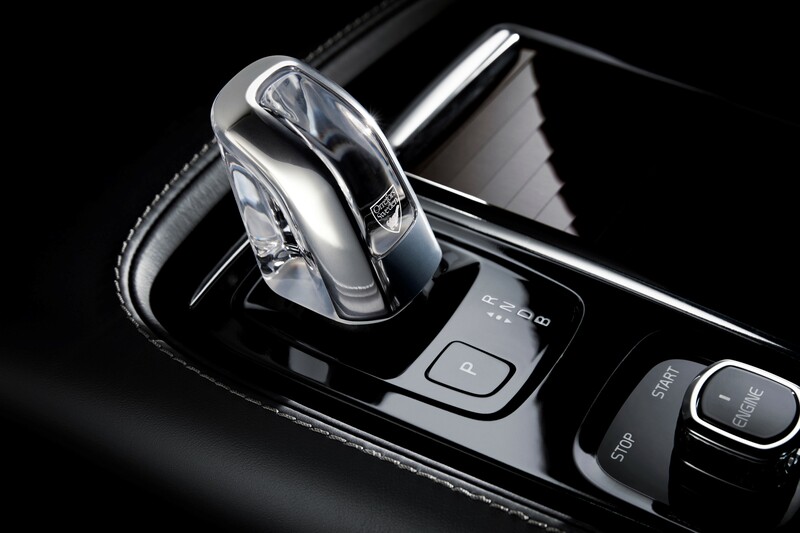 The S80 was one of those models, until now. 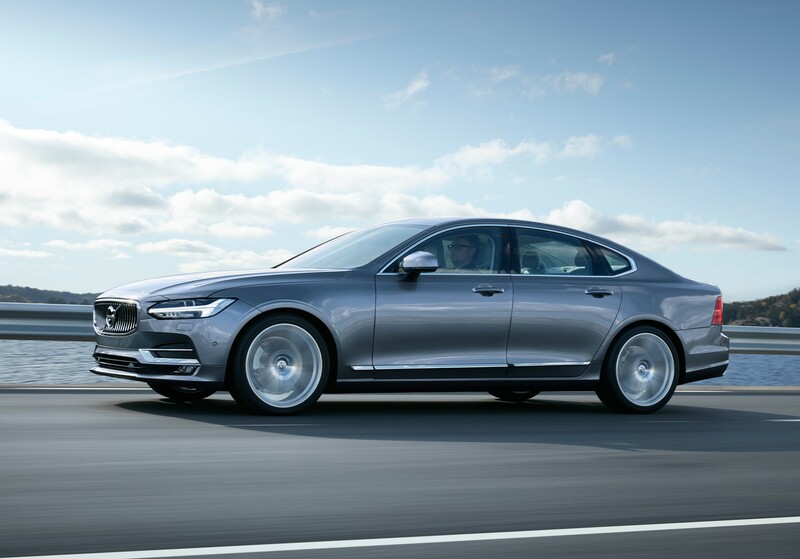 Replacing the aging S80 is the all-new 2017 Volvo S90. This new luxury sedan will compete with the likes of the BMW 5 Series, upcoming Mercedes-Benz E Class and the Audi A6 for premium sedan dominance. 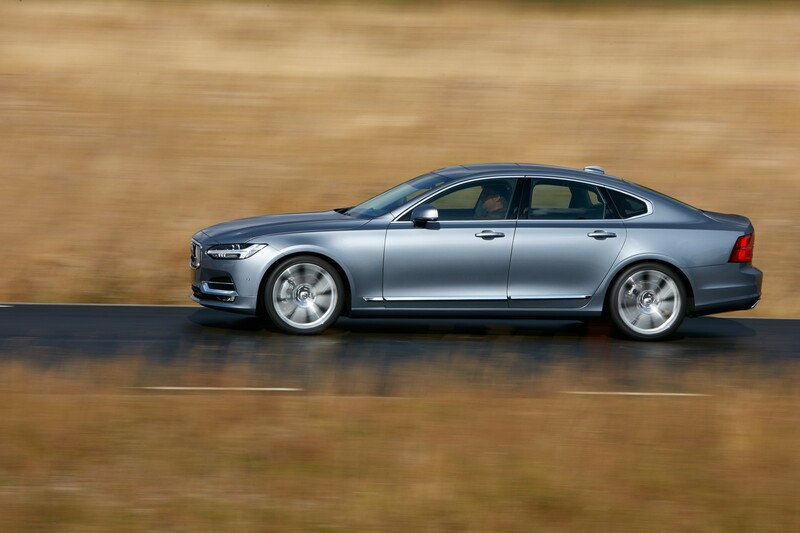 The Germans are always the leaders in this segment, and it seems to shuffle back and forth between whichever has the newest car, but Volvo is bringing something unique to it with the new S90. With the Germans, it’s all about over indulgence. There’s an excess of luxury and technology, as they attempt to one-up each other. However, Volvo seems to be doing its own thing and offering the kind of luxury car that it wants to make and isn’t trying to simply make a 5 Series or E Class clone and that’s quite refreshing. Its design is something of a mixed bag. In profile, the new Volvo S90 is actually a very handsome car. It doesn’t look typically front-drive, the roofline is a bit aggressive and sporty and the nose tilts ever-so-slightly forward, somewhat reminiscent of the sharknose BMW 6 Series. 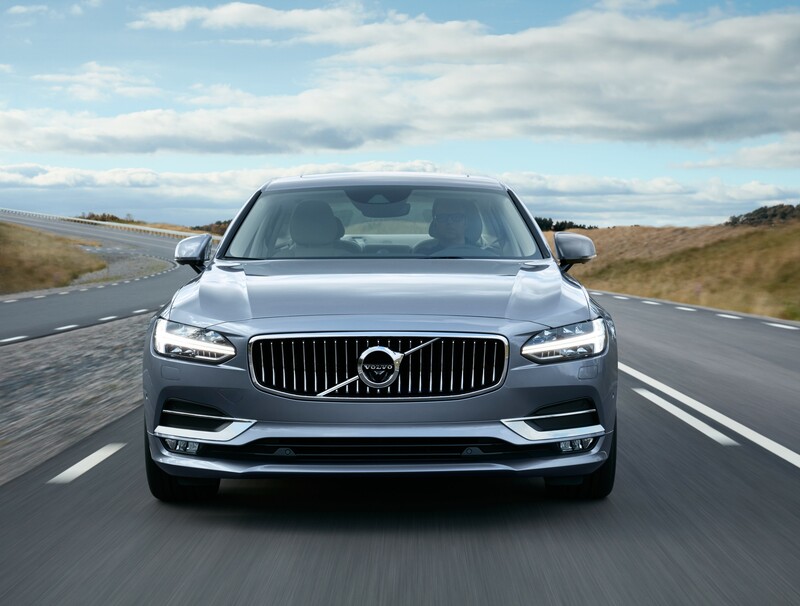 The front end is also good-looking, with a prominent grille that gives the S90 a premium and powerful look and the twin bar headlights look great. However, the lower front bumper is flanked by two chrome hockey sticks that look like they came off of a Volkswagen Passat. The rear of the car isn’t as nice as the rest of it, however. It’s very plain and boring and those taillights look like they’re from the ’90s. It’s actually kind of sad looking at the rear. Moving to the interior is a very different story, however. 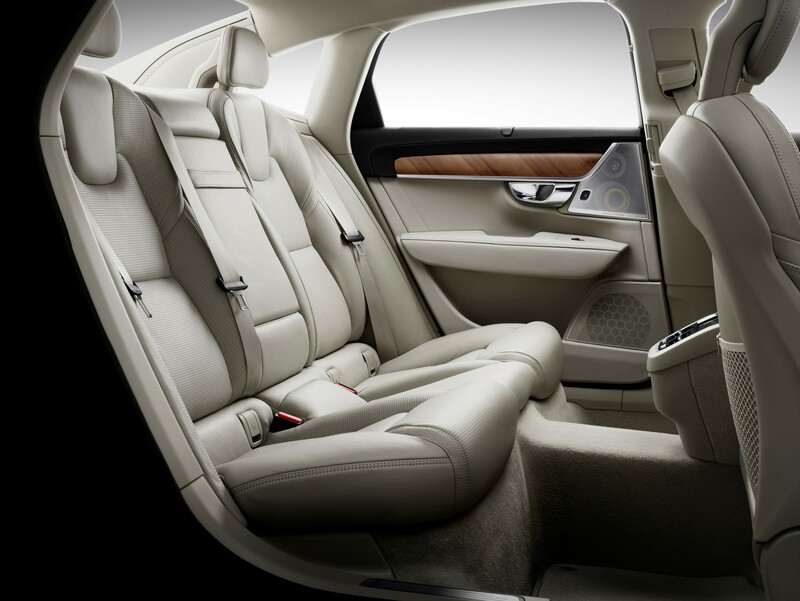 The Volvo S90 cabin seems to be one of the most luxurious and serene cabins in the segment. It’s simple and elegant in a typically Swedish way. There’s just something very pleasant about it. The massive iPad-like infotainment screen dominates the dash, but does it in an elegant manner and doesn’t look overly gaudy (I’m looking at you, Cadillac). 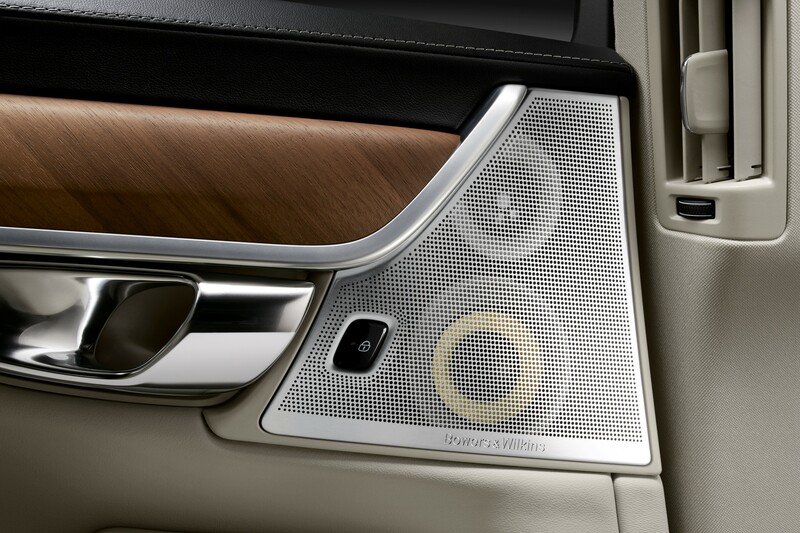 The bright wood work also looks especially fantastic and the brushed aluminum Bowers & Wilkins speaker grilles look very high-end. I can see spending countless hours in this cabin and it never growing old. 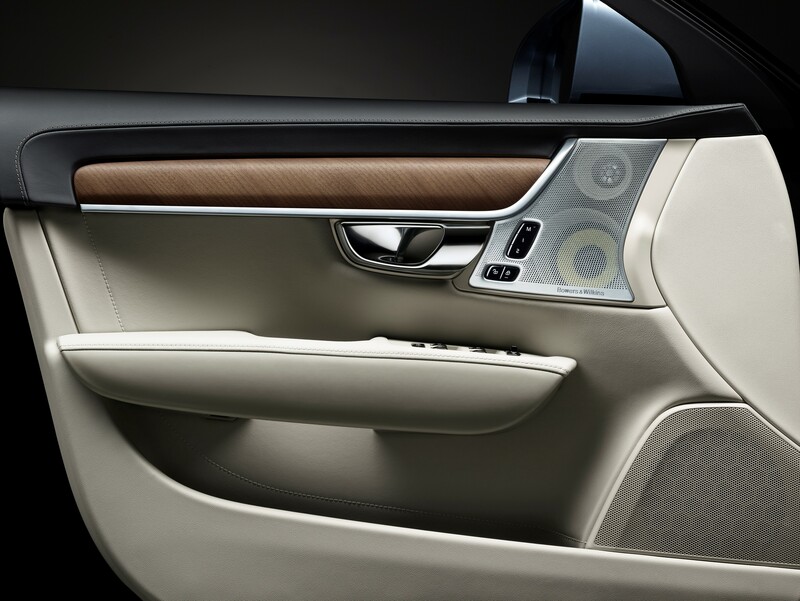 In the performance department, the Volvo S90 packs only four-cylinder engines, both gasoline and diesel, in a variety of different trims. The most popular will be either the base T5 variant, which will come with a 2.0 liter turbocharged four-cylinder engine developing 240 hp and 258 lb-ft of torque, which is very similar to the BMW 528i. There will be a T6 version, which will feature the same 2.0 liter engine but it will be both supercharged and turbocharged to give it 316 hp and 295 lb-ft of torque. The top of the range T8 variant will use the same twin-charged engine but pair it to an electric motor to give the S90 a combined 400 hp and 472 lb-ft of torque. A couple of diesel options will be available as well, but will probably not make their way to North America. 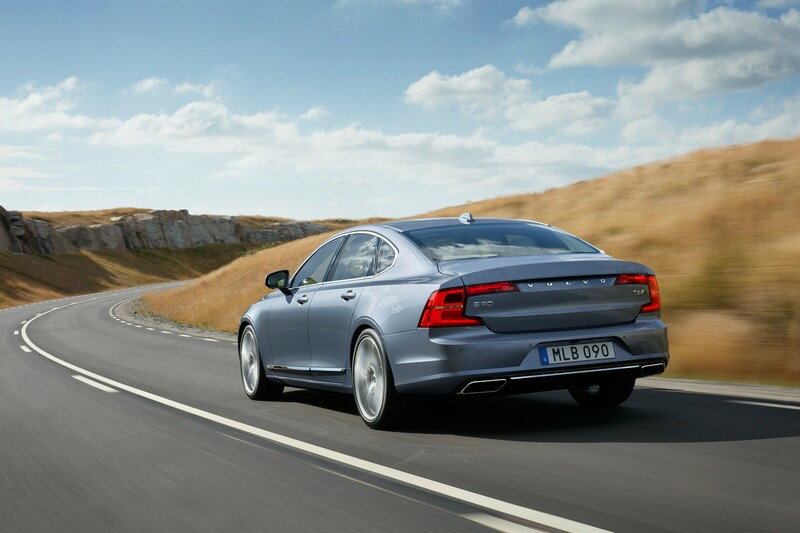 Most Volvo S90s will be front-wheel drive, but all-wheel drive is optional on all of them. There will also be a wagon variant of the S90, which should be excellent as all Volvo wagons are, and could make it ‘Stateside (thank the car gods). 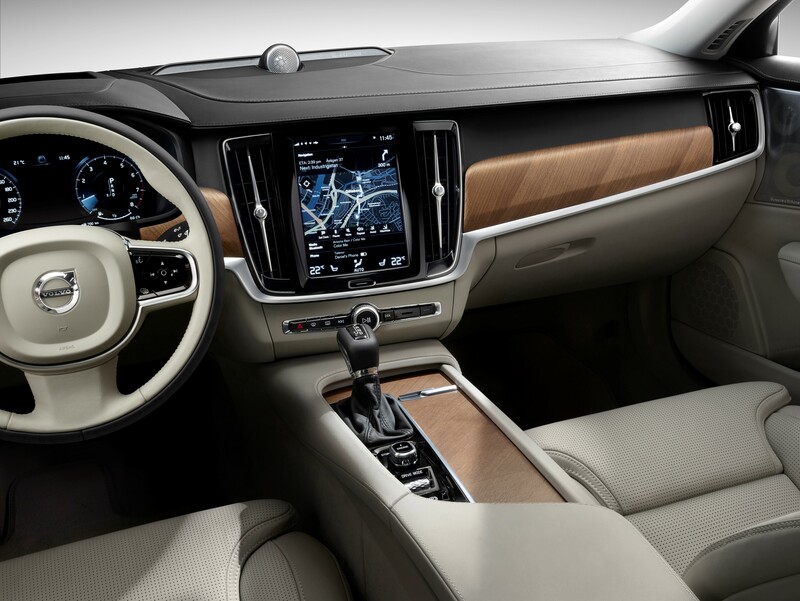 The S90 will also come with an array of safety features, as typical of Volvo, as well as an autonomous driving function, called Pilot Assist. 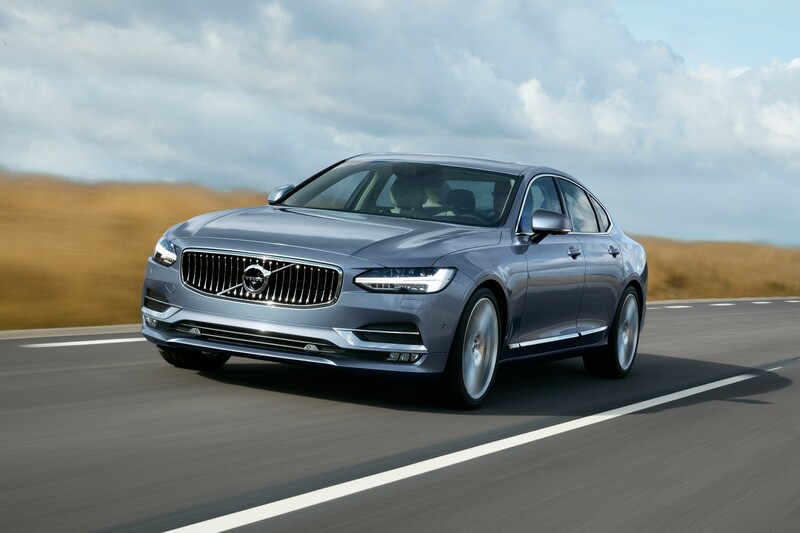 This will enable the S90 to drive semi-autonomously on the highway at speeds of up to 130 km/h (80 mph) and will make small steering adjustments to keep it in the lanes and no longer needs to follow another car. Volvo hasn’t given any word on pricing, but considering that the S90 replaces the S80, but is longer, wider and more luxurious, expect it to have a slightly higher starting price than the current S80’s $44,500. Around $50,000 sounds about right, which is directly in line with the BMW 5 Series. The new Volvo S90 seems to be a very good car from the sensible Swedish brand. We’re looking forward to seeing its debut at the 2016 Detroit Auto Show.